Video game fans love a good throwback, so what better way to get players amped up for Rage 2 than by showcasing perhaps the most iconic weapon in FPS history? Good news, then, because that's just what has happened: Among other dangerous tools of destruction, the latest Rage 2 gameplay footage shows off none other than the beefy and ultra-powerful BFG 9000. In a new gameplay video offered via IGN, the crews at id Software and Avalanche Studios provide just the slightest tease of what is sure to be considered the ultimate game weapon. Known for being something other than small, the vicious BFG 9000 deals a truly reckless amount of damage, the likes of which is emphasized in the latest footage. It's safe to say it makes a great fit for the world of Rage 2. Check it out in the video below — the weapon appears right near the end. Even without the addition of probably the most memorable weapon from the Doom series, the rest of Rage 2 certainly speaks to its developers' pedigrees. Avalanche Studios is perhaps best known for the Just Cause series, where destruction sweeps over the world much like a tidal wave, and id Software simply needs no introduction. The game is being developed in conjunction both studios, meaning players can reasonably expect it to be one of the most action-packed first-person shooters to release this year. The latest Rage 2 gameplay footage certainly speaks volumes about how the title is shaping up, though it appears in this case that the BFG 9000 may be just a bit too powerful. 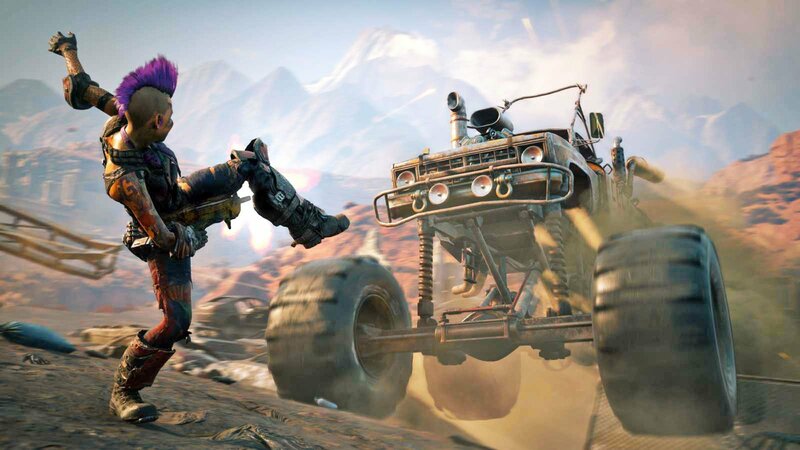 Fans can expect to obliterate enemies with or without massively explosive weapons when Rage 2 releases for PlayStation 4, Xbox One, and PC on May 14. For all the latest coverage of id Software and Avalanche Studios' latest title, be sure to stop by Shacknews' Rage 2 home page.